Barbara G. Koster/Prudential Financial, Inc.
Barbara G. Koster is senior vice president and chief information officer for Prudential Financial, Inc., and head of the Global Business & Technology Solutions Department. 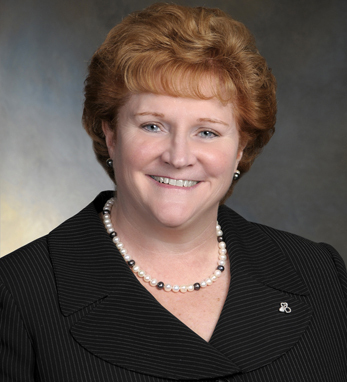 She is also chairman of the board of Pramerica Systems Ireland, Ltd., and founding member of Prudential Systems Japan, Ltd.
Barbara joined Prudential in 1995 as VP and CIO in Individual and Life Insurance Systems. She previously held several positions with Chase Manhattan, including president of Chase Access Services. Last year, Koster was named one of STEMConnector’s “100 Corporate Diverse Leaders in Science, Technology, Engineering and Mathematics” and in 2013, she was inducted into Junior Achievement’s New Jersey Business Hall of Fame. In 2011, NJ Biz newspaper named her one of the “Fifty Best Women in Business.” She is a member of Executive Women in NJ and Research Board, an international think tank. A third-generation Irish American with roots in Cork and Tipperary, Barbara holds both an A.S. and B.S. from St. Francis College, from which she also has an honorary doctorate. Barbara and her husband, Robert, have two daughters, Kathryn and Diana.